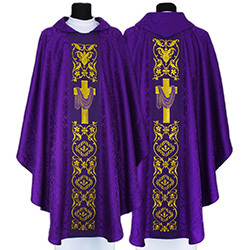 In order to make the process of purchasing easier, we have created a special category called „Roman Chasubles” at Ackermann Liturgical Vestments. Now you can search through a large variety of our products in a comfortable way. 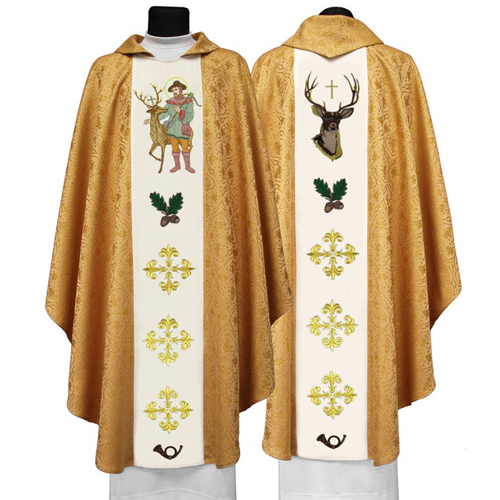 The Roman chasubles we are offering to our clients are made exclusively from the materials of the highest quality. All of them are produced precisely by the best experts. As far as you will see, the most popular product under this category is a Roman chasuble made of a beautiful damask. 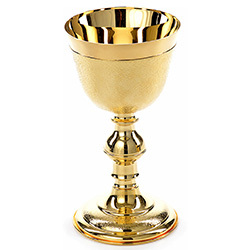 This garment is sold in the set with a stole, maniple, chalice veil, and burse. You can find several special types of Roman chasubles at our shop. For example, you can check our Roman chasuble “Jesus is Risen”. 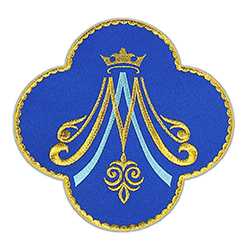 It is made of damask and decorated with sophisticated embroidery. There is also a beautiful and elegant model made of dark velvet decorated with golden elements. You will find this product in different tints of green, purple and red colours. 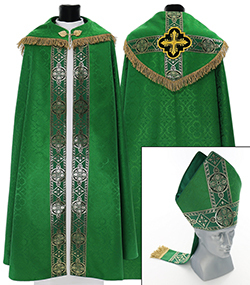 This garment is also sold in the set with a stole, maniple, chalice veil, and burse. 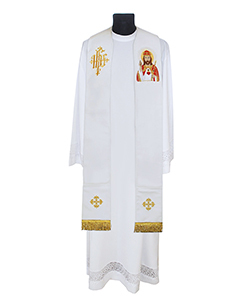 Look through the category “Roman Chasubles” at our shop and you will certainly find the most appropriate product for yourself. 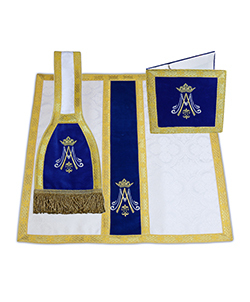 Benefit from buying vestments in sets with other accessories.